A Paz do Senhor (Praise the Lord)! 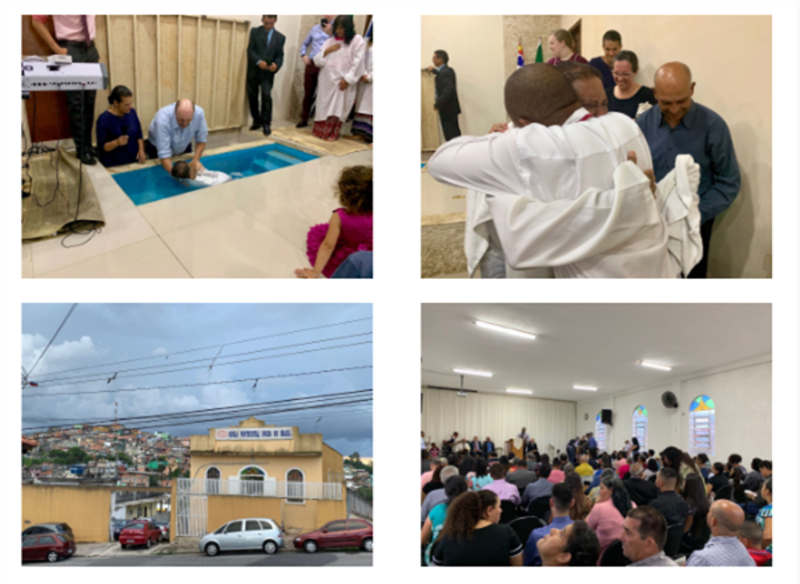 We thank God for a wonderful start to the year 2019! The highlight of this past month was a "Revival by Design" seminar that we co-sponsored with the Cooper family in the city of Mairinque. Two missionaries Baron Carson, who is currently working in France, and Kyle Christian, who has spent much of his time working in Latvia, came and taught us for two days on the structure and organization of the Revival by Design system. 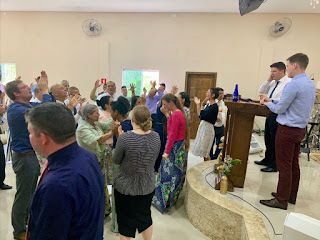 At least twenty confirmed healings and three baptisms occurred during that weekend, and we have received many reports in the district of pastors returning home and implementing what we learned, with many miracles and infillings taking place in their local congregations. We also began teaching in the Mairinque Bible school this month- Aaron teaching Prophets, and Tiffany teaching Music. We then attended several meetings in the district. 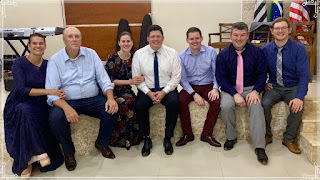 One meeting that we were very excited about was a meeting with District officials working out in detail the plan for a new church plant we are sponsoring with our Evangelism fund in Sumare! 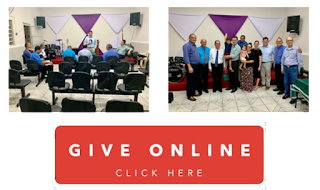 Because of your giving, this new work is already starting some renovation work on a new building, and just this past week 25 were present in service! We are grateful for your support, and we pray that the Lord richly blesses you for your sacrifice! and change it to "Evangelism--General" before making your donation.